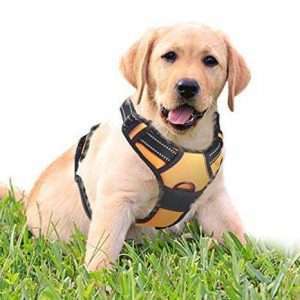 Harnesses have become an increasingly-popular option for dog owners around the world as more and more brands and types become available at more affordable prices. 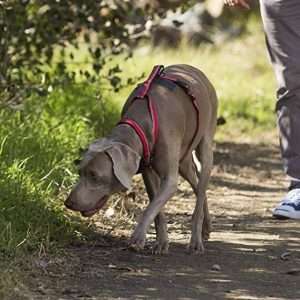 While it’s still common to see a dog being walked while wearing a traditional leather collar or choke lead (both of which also come in a wide variety of colours and designs – if you don’t believe me, have a swing by Instagram), harnesses are becoming a more established norm for dog walkers everywhere. But what are the best cockapoo harnesses? And does it make a difference? A harness typically fits around your pooch’s neck, chest and upper torso with at least two clips. They stay tight (but not too tight) to the body, spreading the force exerted by a lead across more of the dog’s person than a collar, which puts all the strain on the neck area. Harnesses are made from breathable material and often come equipped with multiple attachments for leads and seat belt-fittings, reflective patches and, in some cases, even ‘saddle-bags’ for carrying extra loads. TL;DR – In A Rush? Too long, didn’t read? All of the cockapoo harnesses are reviewed on this page. But if you just want to cut straight to our winner, here it is. In this article, I’ll take a look at which harnesses are recommended for the Duracell bunny of the canine world: the loveable Cockapoo. Why use a harness for your cockapoo? Cockapoos are a very popular breed of dog produced from crossing a Cocker Spaniel and a Poodle in the first instance – they can also be crossed with Cockers, Poodles and other Cockapoos to produce different types. They’re highly intelligent dogs that remain eager to please their owners throughout their lifetimes and can be extremely affectionate pets. They do, however, require substantial amounts of stimulation to satisfy those constantly-ticking brains, and can be a handful during walkies. My wife and I own a male Cockapoo called Lupin (unsubtle Harry Potter reference) and we love him to pieces, but he’s always been difficult to walk. Due to his unrelenting need to reach wherever it is where’s going, he would pull incessantly on the lead, practically choking himself on his collar. After a while, we decided to switch to a harness and haven’t looked back. While Lupin still does his best to drag us after him everywhere he goes (he’s surprisingly strong for a dog who weighs less than 11 kilos! ), the harnesses we’ve tried have significantly reduced his pulling and made walks much more enjoyable for everyone concerned. 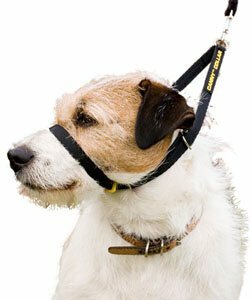 Let’s take a look at some recommended harnesses for Cockapoos. 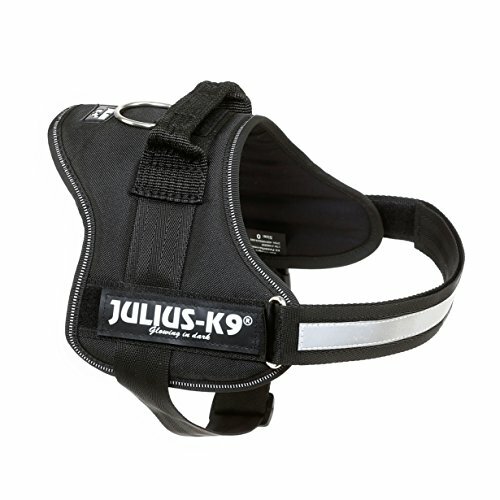 We start with the king of dog harnesses – the Julius-K9. I initially felt as though this well-known harness would be much too large for a cockapoo. I’d only ever seen big dogs wearing one and assumed they were aimed at larger breeds. 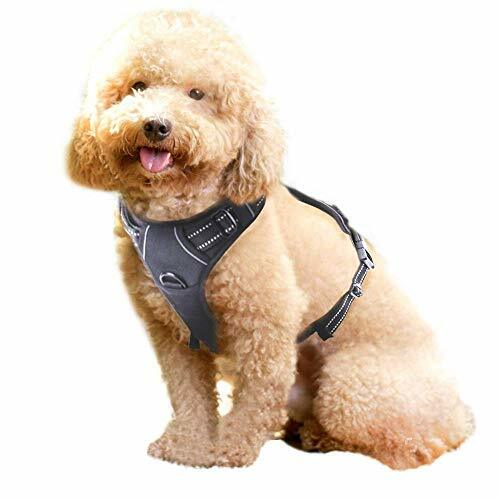 However, after a little research, I discovered that they actually come in a wide variety of sizes, and the ‘0’ size is actually pretty spot on for a cockapoo harness (though cockapoos also vary wildly in size). 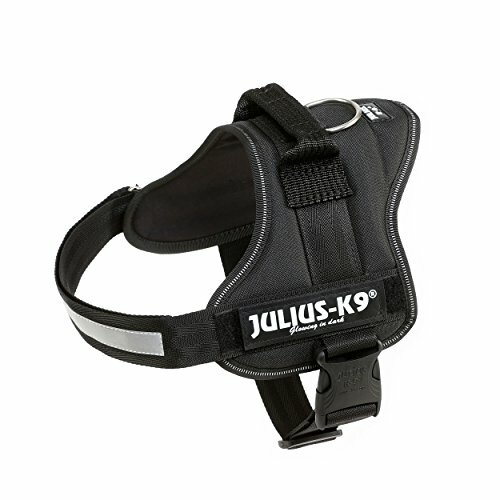 The Julius-K9 is a very sturdy, attractive harness. It features a metal ring on top for lead attachments and a large, adjustable handle for increased control of your dog. 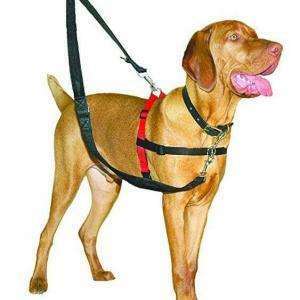 Like other similar harnesses, it’s breathable and can be fitted and removed easily. And because it’s a Julius-K9, it also has attachments for saddlebags and a torch (because why not, right? ), though this is limited to the larger sizes and may not be available for your cockapoo. The only downside to this harness is, like the Outad, the lack of chest ring. Again, it’s maybe not a major issue but for someone who transports their dog regularly in the back seat of the car, it’s definitely a negative point. The Julius is also on the upper end of the price scale, though that’s perhaps to be expected given its popularity and quality. It is, of course, pretty hard to beat a Julius-K9 for quality and reliability. It’s a great non-pull dog harness (and cockapoo harness) preceded by a strong reputation, so you’ll know you’re getting a quality product if you decide to go with it. As long as you’re ok with just one harness ring and the slightly higher price. After a bit more research and advice from fellow Cockapoo owners, we decided to go for the TrueLove dog harness, which we purchased on Amazon. Lupin took to this one immediately and, because he’s a smart cookie, quickly learned to sit still with his face upturned when we mention the word “walkies” to speed up the harness-fitting process – he’s equally amenable when we take it off, too. The TrueLove harness is feature-rich with a tough outer layer, soft mesh inner layer and sponge padding in the chest and belly areas; it has reflective nylon webbing for good night-time visibility, two side buckles, and two clips for leads (one on the back and one on the chest). You’ll know as soon as you fit it on your furry companion that it’s strong and durable. As you may have guessed, we loved this little harness – it’s tough, full of handy features, looks good, and doesn’t cost an arm and a leg. The chest clip is also extremely useful for hooking your dog into the seat-belt attachment when transporting him in the car, as long as you have a dog seat belt. It’s also great at reducing Cockapoo pulling during a walk. It’s simple, effective, great value and looks good. We love this harness and still use it all the time for our Cockapoo. It’s simple, effective, great value and looks good. Again, every owner has different experiences, but for us, the TrueLove harness is a solid option. For something a little different, you may want to try the Canny Collar. As the name suggests, this is more of a collar than a harness, though it certainly does more than the standard round-the-neck bit of leather. 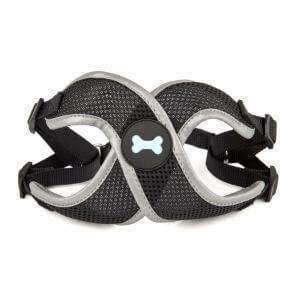 The Canny Collar has one strap fitted around the neck like any standard collar in addition to a second strap which runs from the back of the lower jaw to the top of the snout just below the eyes. 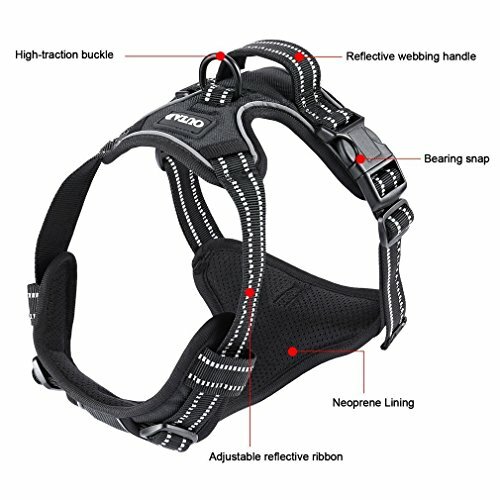 It’s designed to stop your pooch from tugging incessantly on his lead by distributing more of the controlling force exerted by the walker around more of his head, as with the bridle on a horse. Quite a number of dog owners agree that this particular style of collar works wonders for discouraging their dogs from pulling during a walk – it even comes recommended by vets and dog trainers. For cockapoo owners, anything that can prohibit these often ridiculously-energetic little dogs from pulling the arm off their owners is a welcome thing. The Canny Collar perhaps lost a few points because it’s almost too simple in design and perhaps doesn’t match up with its cost, which is similar to that of much more substantial harnesses on the market. However, the majority of owners agree that it’s effective at reducing pulling and is well worth trying out if you have a cockapoo in a hurry. Next up, the Rabbitgoo no-pull harness is another solid option for cockapoo owners struggling with dogs determined to take the lead during walkies. This harness is very similar in design to the TrueLove harness. It too fits snuggly around your canine companion’s chest, neck and upper torso and attaches securely at either side of the body with buckles to distribute pulling pressure away from the neck, reducing the risk of choking (anyone with a cockapoo will know how even a short walk with a tight collar can leave your dog gasping for breath). 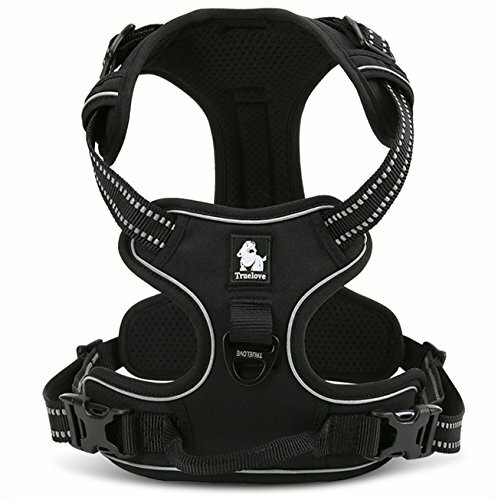 Similarly to the TrueLove harness as well, it also features padding in all the right areas and two attachments for leads (chest and back). However, one major advantage of purchasing the Rabbitgoo harness is the customer service that accompanies it. The company offers a lifetime warranty that ensures you will receive either a replacement harness or a full refund if you’re not satisfied with the product. Many owners have found this to be of great benefit, though few have needed to activate the warranty. Good customer service is always a great bonus with any product purchased online, especially in our contemporary culture where many of us would rather shop on Amazon than in-store. The Rabbitgoo harness is pretty similar in most respects to the TrueLove harness. On the more positive side, it comes with a lifetime warranty and solid customer service; on the downside, there may be long-term problems with stitching in the product (which perhaps necessitates the attentive customer support). Either way though, it’s a very good harness. The Outad DPower Luxury harness is another similar offering to the TrueLove and Rabbitgoo harnesses in terms of design and features, with a few notable differences. First up, the extra stuff: this harness comes equipped with its own 1.5-metre lead, which is a nice touch. Though most owners will have a lead already before picking up a harness, it’s a nice touch to have one that matches the harness itself (for fashion-conscious cockapoos, naturally). 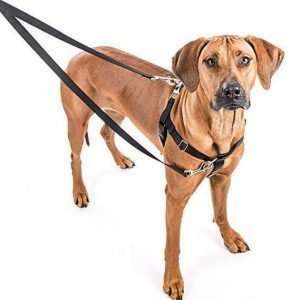 We have several leads for our dogs which we alternate between depending on where we’re taking them for a walk – short leads for pavement walking, extendable leads for parks and forests. Second, the price: despite coming with a lead, the Outad harness is actually a little cheaper than other similarly-styled harnesses on the market. Again, this would make it a good option for your first cockapoo harness if you’d rather take a slightly smaller risk financially. The Outad features breathable nylon webbing material and a ring for clipping to the lead. However, unlike the TrueLove and Rabbitgoo harnesses, it doesn’t have the handy chest ring for hooking your dog into a seat belt when travelling in the car. It’s not a huge issue, but I find the chest ring attachment very useful as it’s more comfortable for Lupin during journeys. The Outad is easily fitted and adjusted with a design aimed at distributing pressure evenly around your cockapoo’s body. Like the TrueLove and Rabbitgoo harnesses, the Outad is easily fitted and adjusted with a design aimed at distributing pressure evenly around your cockapoo’s body. The free lead is a nice bonus, and it’s a good price. However, only one ring attachment is a negative. The final harness we went for was this little ditty from our local Pets At Home (a store that we love by the way, and use all the time). We spent a while puzzling over which type would suit Lupin best before going for what was admittedly one of the cheaper options – he was still not quite fully-grown and we were testing the water a bit. The Step In harness is made from soft, breathable material, is easily adjusted and features reflective strips along the edges. It’s a very simple harness with just one clip on the back. It seemed to work well at first and definitely reduced Lupin’s pulling. However, as many other owners seem to have discovered, there is one major disadvantage to the Step In harness – your dog can step right out of it at will! During a walk, Lupin decided to hit revere gear and promptly slipped right out of the harness. Thankfully we were in a park and not along the side of a busy road, otherwise, things could have ended very differently. Other owners seem to have had this same problem with the Step In harness and as a result it’s quite poorly rated. I’m a big fan of Pets At Home but unfortunately, I can’t recommend this particular harness. Your experience with it may be very different, but it’s difficult to stand by a harness that actually allows your dog to escape. Certainly, for this breed, it is not a suitable cockapoo harness. 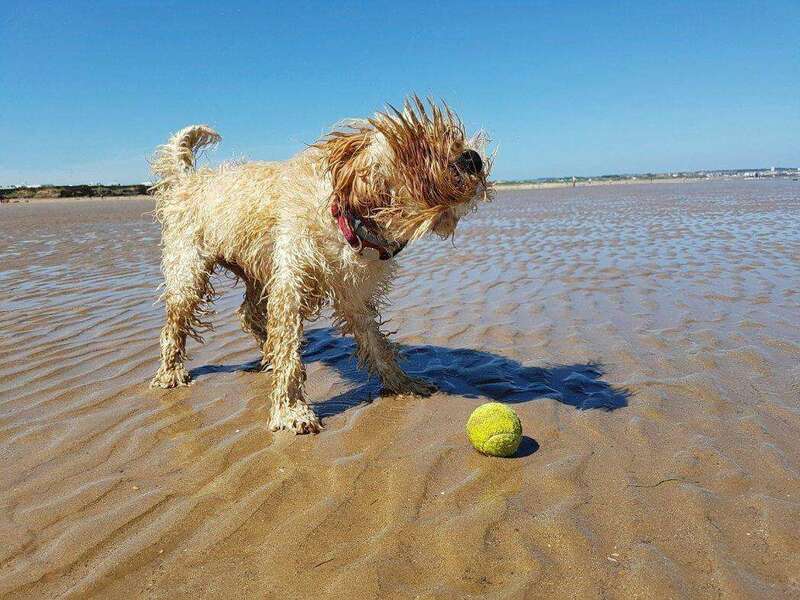 Every cockapoo owner will have experienced the joys of taking their little bundles of relentless energy for a walk, though these times tend to go hand-in-hand with the negative of having your arm pulled from its socket for the duration. I’ve found this with our Lupin, anyway, who has never been particularly patient during walkies. We’re big fans of the TrueLove harness, though whichever you choose to go for will very much depend on your budget and design preference. Each harness or collar has its own pros and cons which need to be weighed up when making your decision. Always do what’s best for your dog in terms of comfort, wear-ability and, most importantly, safety. We hope you enjoyed our collection. Don’t forget to check out our other collections and reviews on the site – and please comment below! Also don’t forget to check our Facebook page.